There are so many things to consider when you are deciding to buy a house. 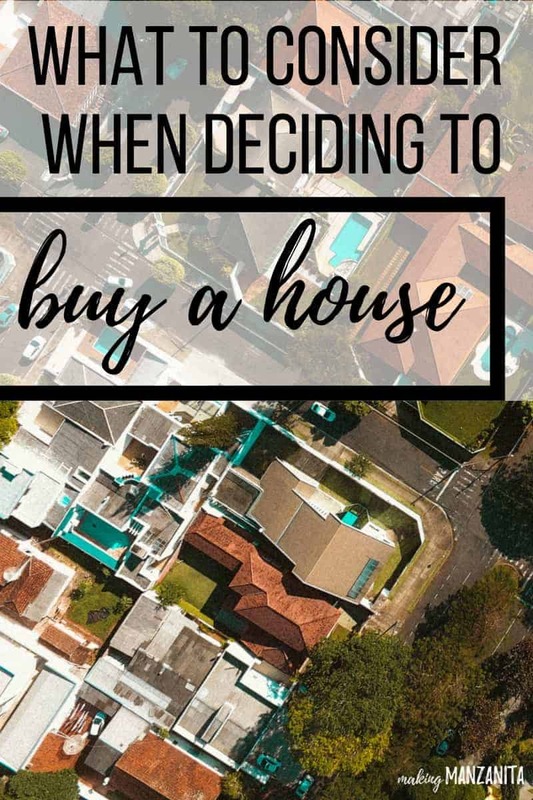 Here are all the things we considered when deciding to buy a house along with 5 action steps for you before you go to buy a house. Over the next few weeks I’m going to be sharing about the home buying process, starting with our decision to buy a house today. There are so many things to consider when you are deciding to buy a house. The purchase of your home is likely the largest investment you will make. It is not a decision to make lightly. Today I am sharing everything we considered when we were deciding to buy a house in Bend, Oregon. When we first decided to move to Bend, we knew we would rent a home. We were certainly taking a risk moving somewhere so far away and so unfamiliar. We wanted to rent before making a big investment like buying a home. It was a STRUGGLE finding a place to rent here. It was especially hard since we were looking for a rental while we were 939 miles away in San Diego. The rental market was so competitive in Bend, Oregon. To secure a rental, you pretty much had to find the listing on Craigslist within a few hours of when it was posted or it already had been rented. After weeks of searching and applying for rentals, we signed a lease on a beautiful two-story home in a great neighborhood with new finishes. I was, and still am, so thankful for this first home in Bend. Our landlord was so sweet and gave us a month-to-month lease. She knew we were moving in from out of the area and renting the place SIGHT UNSEEN, which was a bit nerve wracking. After about six months of renting here and knowing that we were going to call Bend home, we decided it was time to start looking for a home to buy. Here are some of things we considered when we were deciding to buy a house. It was cheaper to buy than rent. The rental market is crazy right now in Bend. Rents are rising and fast! Although we needed to have a good chunk of money upfront, we are now paying $371 less every month for our mortgage payment than we were for our rental (and our rent probably would have gone up by now). Obviously there are some additional costs that come along with home ownership (not to mention, if you’re renovating like we are). This is great calculator to see if it would be cheaper for you to rent or own. Real estate 101: you want to buy at the bottom or on the way up & sell at the top or on the way down. Home prices are in the rise almost everywhere in the country right now. They, just like rental rates, were climbing fast here in Bend. We literally felt like there was a clock ticking. Eventually the market would come to a point where we wouldn’t feel comfortable buying so close to a peak. Interest rates are historically low. duh. You literally have to be living under a rock the last couple years to not hear this almost everyday (or maybe it is because I work in the real estate world). Couple this with the rising home prices and we knew that time was of the essence for us. We were ready to start building equity…slowly. Have you ever looked at an amortization schedule? Take a look, a real hard look. This post does a great job explaining what it means. So, when you hear someone say that they want to start building equity….in all reality, it’s going to take a while to start building any equity. You will be paying mostly interest for the first few years. Regardless, we’re not getting any younger and we were ready to start having our monthly payments to go interest + a little teeny weeny bit of equity, rather than paying our landlord’s mortgage. We needed a place for Gannon to roam. Our dog, Gannon, needs exercise…lots of exercise. We knew we wanted a bigger backyard that would have room to create a space that we could all enjoy. 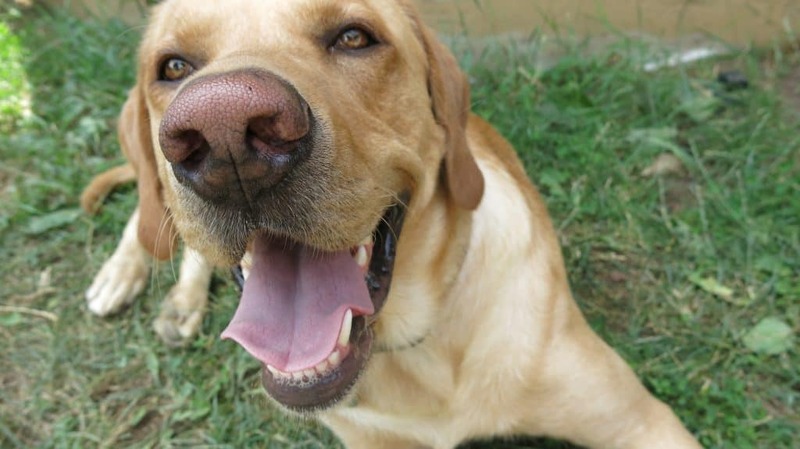 I mean… come on, how can you resist a face like this? We had been building our savings account. This was a long time coming. We’d started thinking about buying a home about a year and half before we actually did, so we had been in the “saving” mindset trying to build up that piggy bank. We knew we wanted to have the largest down payment as possible. We were eager to have a house to do whatever we wanted with. One of the most frustrating things for me about renting was not being able to paint or DIY changes to the home. Don’t get me wrong, there are TONS of things you can to do your rental to make it homey (check out a few here on this post of 33 Ways to Decorate a Rental from Home For Now). We had the urge to renovate something that we could call ours. 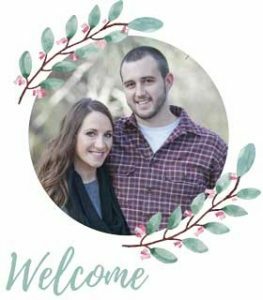 Logan has been working in the maintenance and home renovation industry for a few years now. He’s had so much fun working on so many different homes. He was anxious to be able to work on something for us, where we could make all the decisions. I think that is what motivated us most in deciding to buy a house. With that in mind, we definitely knew what we were looking for when were done deciding to buy a house – a fixer upper! 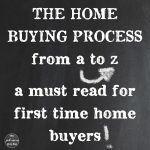 The home buying process from A to Z – a must read for a first time home buyer! How to find a home that matches your lifestyle, which is so important when shopping for a home. 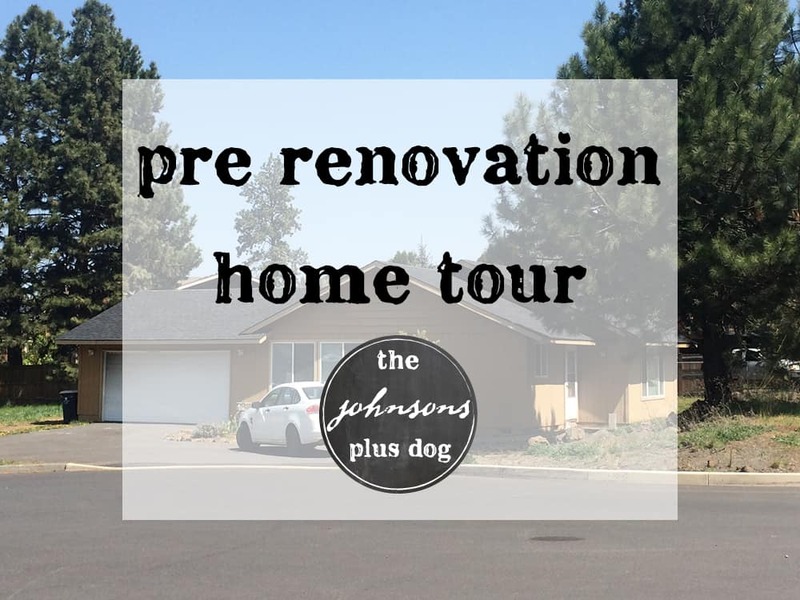 Check out our pre-renovation home tour here to see the fixer upper we ended up buying! 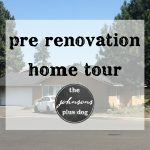 Take a peak at all of the home renovations we’ve done to our fixer upper so far. If you are deciding to buy a house, here’s where you should start. 1. Start a savings account. A lot of banks have programs where you are able to start a separate savings account for something specific and track your saving goals. It really helped motivate us to see our progress. 2. Strengthen your credit score. Now is the time you can work on strengthening your credit score, which will factor into your interest rate when you go to get a mortgage. Here’s a good article on 11 ways to raise your credit score fast from Forbes. EXPERT TIP: Keep it simple. 3 lines of credit are good to build such as: car loan, paying a bill in your name, a credit card in your name, or a phone bill in your name. Notice I say “in your name” . It doesn’t help if you’re paying a bill in someone else’s name unless you’re just generous and want to help them build credit. 3. Figure out how much you can afford. Here’s a really easy to use home affordability calculator. EXPERT TIP: I like the affordability calculator, but going to a lender is much more accurate. When a lender pulls your credit, the creditors understand that you’re looking for a home. It doesn’t affect your credit score, like a credit card credit check does. I’d recommend checking with your bank that you’re already using when looking for your lender. They may offer incentives to customers (some Credit Unions have great rates and less closing costs). Next, check with a couple of other brokers or if you trust your Realtor, ask them. 4. Start collecting your financial records and get a prequalification letter from a lender. I would recommend getting this as soon as possible. When we first started looking at homes, we found a home and wanted to put an offer in right away due to the competitive market. Luckily our lender was able to turn our prequalification letter around quickly (cheers for good lenders!). Your lender is going to want to review A LOT of documents before handing over that letter. Your lender will send you a list of what documents they need. But typically they will ask for tax returns, bank statements, pay stubs, investment account statements, etc. EXPERT TIP: Remember that your lender will want ALL pages of those documents even if it’s a blank page. If the lender sees “page 5 of 6” they will definitely want to know where page 6 is if you bring only 1-5. 5. Find a Realtor. Here’s some great tips on how to find a real estate agent. EXPERT TIP: One of the best ways to find a Realtor is asking your friends, even if your friend purchased in a different city. You’d be surprised at the network Realtor’s have and who they can connect with. Realtors that deal in the residential market have many designations that most likely mean nothing to the lay person. However, to other agents, it gives access to many sources for referrals. So, start with a friend who really appreciated their Realtor. There are so many things to consider when you are deciding to buy a house. Ultimately, you need to determine what is best for you! If you are done deciding to buy a house and ready to move forward, it helps to take some of the first initial steps in the right direction that Martha described above. 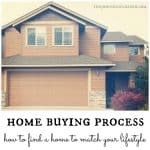 Over the next few weeks, I’m going to be sharing a few things we learned during the home buying process as well as more expert tips from Martha. Great article outlining your steps as a first time homebuyer. And loved the tips from your REALTOR mom-in-law. 🙂 Have a great week and thanks for a delightful visit for the Home Matters Party. Although being a homeowner seems like more trouble than it’s worth, it does have its benefits. Thanks for sharing with the #homemattersparty this weekend. We’re glad to have you.